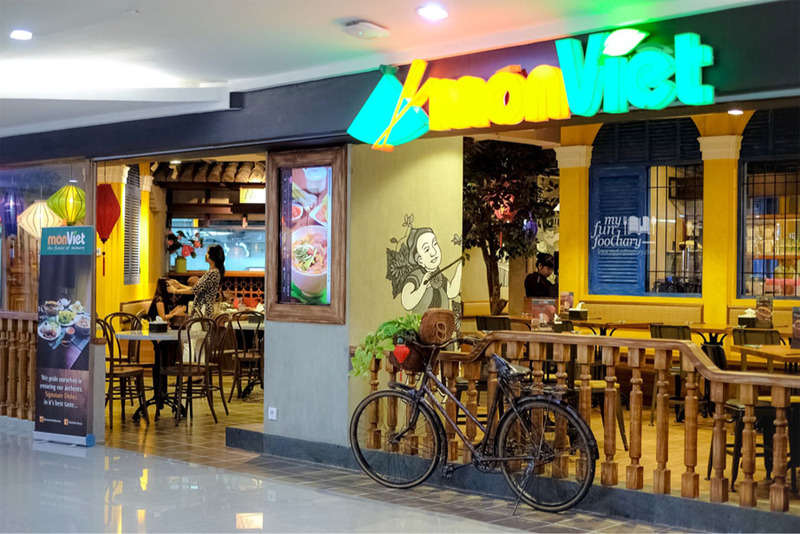 It’s relatively rare to find a very good Vietnamese food in Jakarta but not until I made a visit to MonViet‘s first outlet located in Lippo Mall Kemang in 2013 (read here about my review for them: MonViet Lippo Mall Kemang). 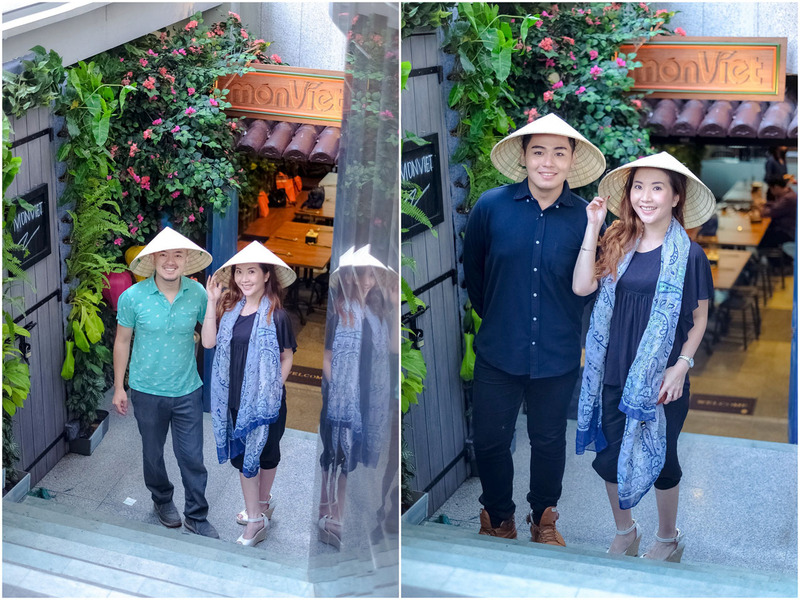 MonViet is a restaurant that specializes in serving authentic Vietnamese cuisine that features endless variety and extraordinary flavors. Just recently, they held a Grand Opening of their new branch located in FX Sudirman (Central Jakarta), and I went there with some foodies friends. 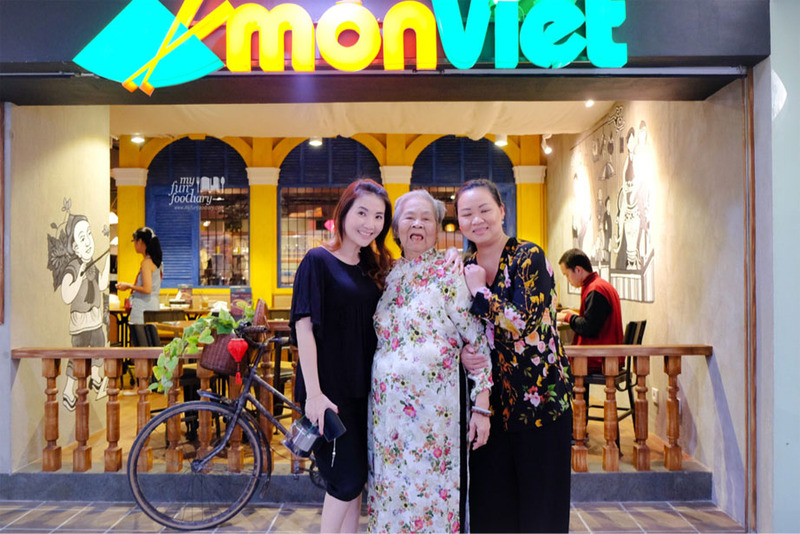 The woman behind the successful of MonViet Restaurant is their mother, Nguyen Thi Pan, who first started a noodle stall at a street corner in Saigon in the 1970’s. She cooked the traditional noodles called Bun Bo Hue, and people waited in front of her stall every day for it! Then her stall grew bigger and after 35 successful hard working years, the mother sadly had to close the noodle house. 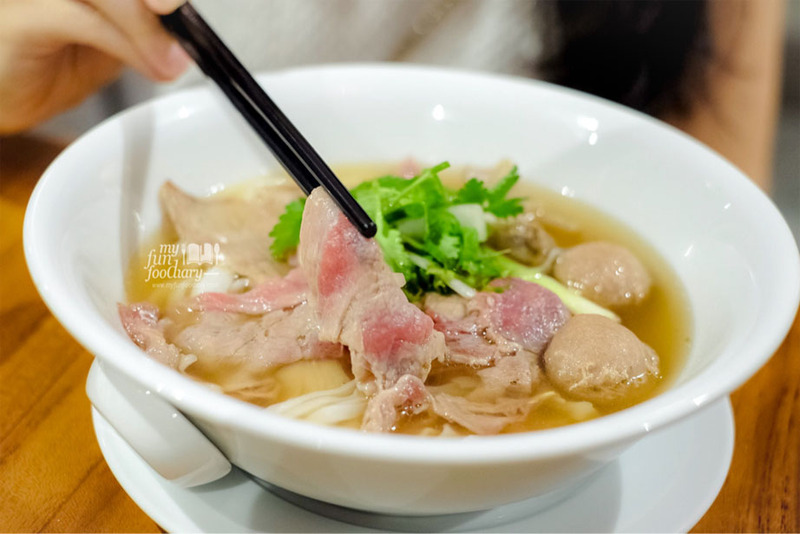 To honor a mother’s Vietnamese secret recipes, the youngest daughter of the family, Hang Thi Kim Loan, brought her mother’s secret noodle recipes with her and together with her brother, Hang Thanh Hai, they finally opened MonViet Restaurant to share their love for authentic, home cooked Vietnamese foods. 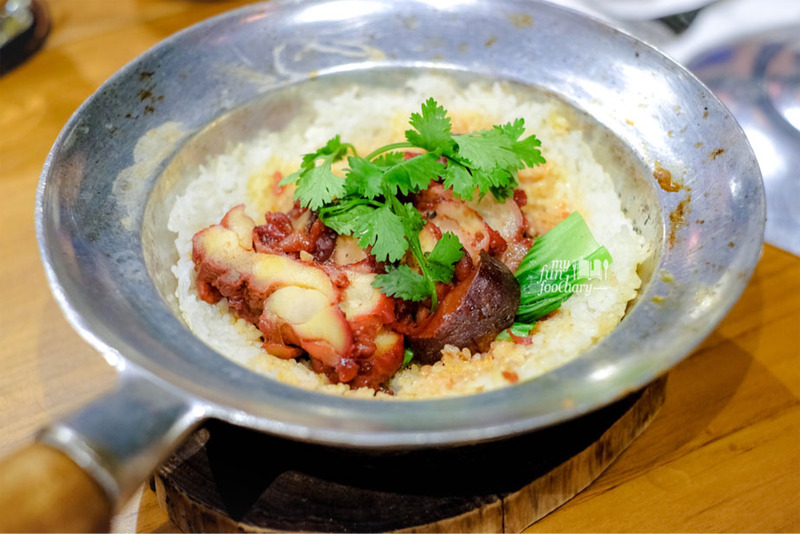 We came and tried so many new dishes, which I cannot mention one by one here. 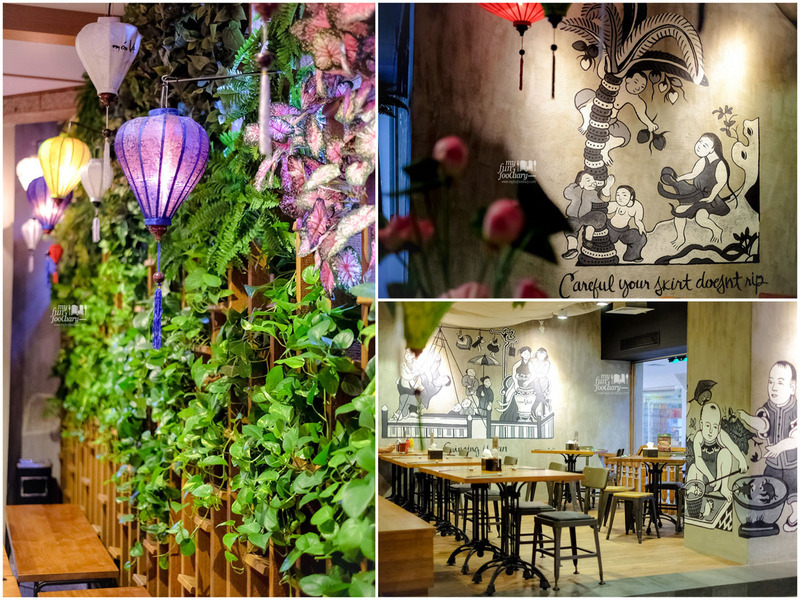 But for those who love Asian food, this is definitely the place to enjoy delicious home cooked Vietnamese food! Everything here is made to order, fresh and authentic! 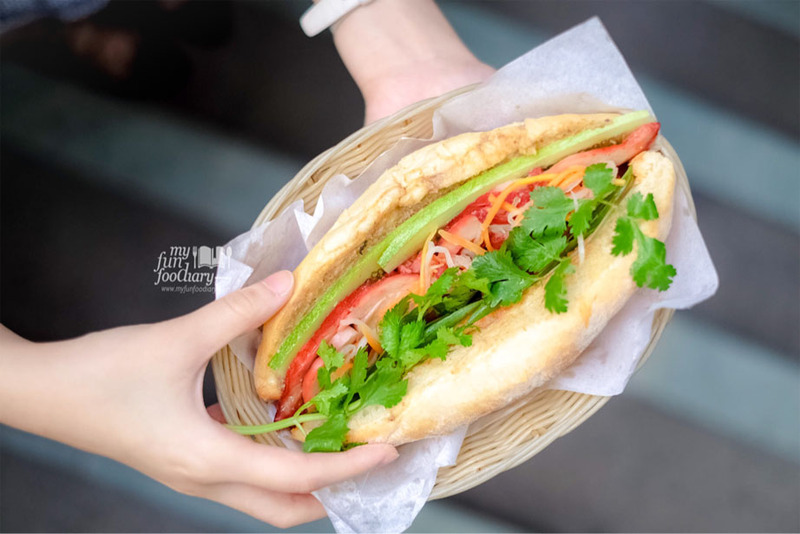 My most favorite dishes was their signature noodle soup, Bun Bo Hue (IDR 76K, signature beef noodle soup), Cha Gio Tom (IDR 41K, Vietnamese shrimp spring rolls), Banh Mi Xa Xiu (IDR 65K, traditional banh-mi with honey soya sauced charsiu), and Com Tho Xa Xiu (IDR 74K, a clay pot rice cooked with honey soya sauced char siu). The flavors of Bun Bo Hue was satisfying, rich of herbs and fresh ingredients. Make sure you order the food that I mentioned above when you visit MonViet and do not leave this restaurant without ordering a Vietnamese coffee served with sweetened condensed milk over ice (Ca Phe Sua Da, IDR 40K). It tasted so refreshing! There are so many options of appetizers, main courses, and desserts to choose from, so don’t come alone. Bring your friends and family, and you will absolutely LOVE this restaurant!